Gabe Stone Shayer was born in Philadelphia, Pennsylvania in 1993. He began his formal training at 11 with Alexei Boltov and Alexei and Natalia Cherov in Philadelphia. 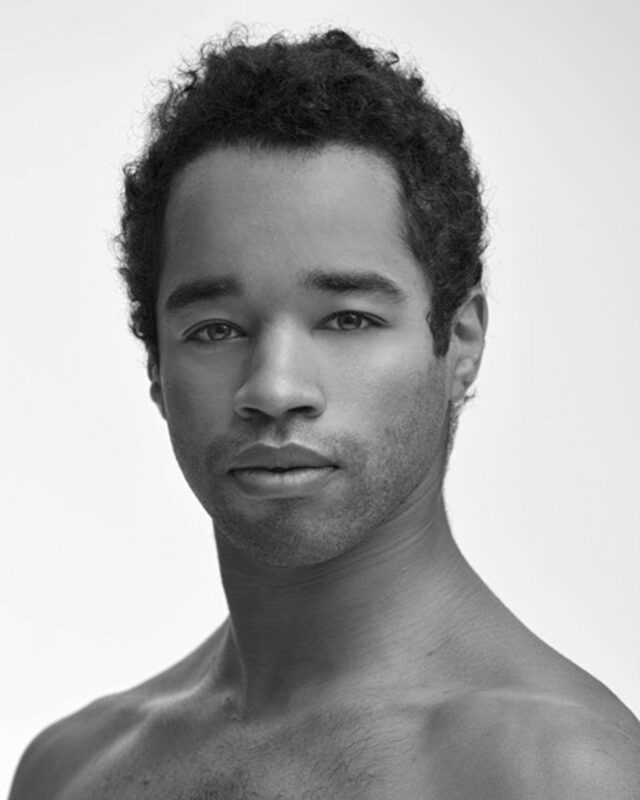 At 13 he was offered the lead role in the world premiere of a modern ballet, Darfur as a guest principal with the Rebecca Davis Dance Company, which subsequently toured the United States. At 14, Shayer began training full time as a scholarship student at The Rock School for Dance Education where he performed many classical and contemporary variations, pas de deux and ensembles. He danced numerous Nutcracker roles including the Cavalier. In the 2009 YAGP International Finals, Shayer, at 15, placed in the top twelve for his pas de deux in the Senior Category. The same year he attended the Bolshoi Ballet Academy Program in Moscow and won First Place for Best Male Dancer. At the 2010 YAGP semi-finals, Shayer won the Grand Prix Award and was a finalist in the New York International Competition. He received numerous scholarships, most notably to the John Cranko School in Stuttgart, Germany and the Princess Grace Academy in Monaco. In 2010, at the USAIBC in Jackson, Mississippi, he proceeded to the final round. He continued his studies at the Bolshoi Ballet Academy in Moscow where he was asked to join the graduating class of eight boys under the tutelage of Ilya Kuznetsov. Shayer also toured with the Academy and the Bolshoi Ballet in Italy and Greece, performing in La Fille Mal Gardée and The Nutcracker. While in Russia, he performed for many dignitaries, including the President of Slovakia and Dr. Joseph Biden on the Vice Presidential visit to Moscow. In 2011, Shayer performed as a soloist in Prokofiev’s Classical Symphony in Proteges III at the Kennedy Center in Washington, D. C. He joined the ABT Studio Company in September 2011, the main Company as an apprentice in April 2012 and the corps de ballet in November 2012. His repertoire with the Company includes the Bronze Idol and Head Fakir in La Bayadère, Napoleon in Cinderella, Lankendem and Birbanto in Le Corsaire, the Lead Gypsy in Don Quixote, the peasant pas de deux in Giselle, Harlequin in Harlequinade, Harlequin, the Chinese Dance and the Russian Dance in Alexei Ratmansky’s The Nutcracker, Mercutio in Romeo and Juliet, Bluebird, Jester and Puss-in-Boots in Ratmansky’s The Sleeping Beauty, Neapolitan Dance in Swan Lake, Eros and Pluto in Sylvia, Ariel in The Tempest, The Boy in Whipped Cream, leading roles in AFTERITE, The Brahms-Haydn Variations, Her Notes, Piano Concerto #1 and Songs of Bukovina, and featured roles in After You, Bach Partita, , Company B, Raymonda Divertissements and Sinfonietta. Shayer created a Fairy Cavalier in Alexei Ratmansky’s The Sleeping Beauty and a leading role in Serenade after Plato’s Symposium. In 2016, Shayer received the Clive Barnes Award for Dance. Mr. Shayer’s performances with American Ballet Theatre are sponsored by Irene Fuchsberg Minkoff.